A couple of days back, a student in one of the years above me posted in our ShockSoc facebook group about an event that Thales (https://www.thalesgroup.com/) were running at my university. It involved a few tasks using an Arduino which I feel suited me greatly as I first learnt to program using an Arduino. After little consideration, I decided to apply and was fortunate enough to be accepted the day after. The main aim of the day was to introduce students to using Arduino’s and showing some of the features that they can achieve using one. We were taught some of the simple aspects of electronic circuitry (all of which I was lucky enough to already know), along with getting used to the Arduino IDE. Most of the students that seemed to apply, did Computer Science which I found somewhat strange as I always saw the Arduino as a very Electronic orientated platform. Out of the 24 or so people who were there on the day too, only one of them was a fellow electrical/electronic engineer! Once all the staff and applicants had arrived, we got on with the tasks provided which were merely running the standard Arduino examples though it still proved informative for some of the other applicants. Eventually, we got round to the task of making our own “Magic 8 Ball” (for those who don’t know, http://goo.gl/WzgimE) using the LCD and a tilt switch. Unfortunately, our tilt switch was broken so we just replaced it with a button switch to simulate us shaking the device. Originally, this project used an accelerometer which I definitely consider cooler although apparently this was ‘too hard’ to grasp. Finally, we were given our Arduino dev kits to create our final projects on (this seemed to be the whole aim of the day – us as students designing potentially suitable business ideas for Thales). 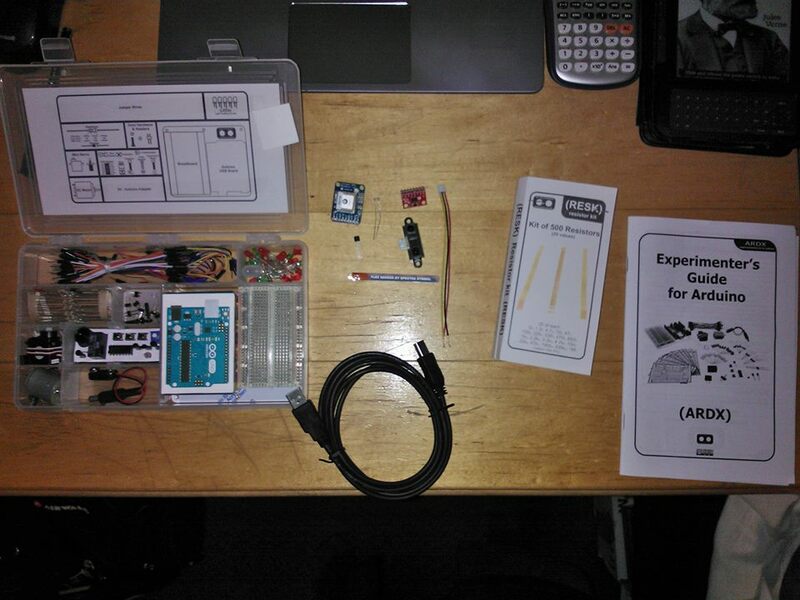 The kits seemed pretty high tech and included integrated GPS, accelerometers and temperature sensors. I’ve never used GPS though I’ve been meaning to so if my group decide not to hog the Arduino for themselves, I’ll definitely be using it!